It’s official 2003’s Elf has been voted the best Christmas film of all time. Now before you get out your pitch forks and set upon us like an angry mob in The Simpsons Movie this was not a list decided by us. In fact it was listicle website Ranker, who gave Will Ferrell’s Christmas comedy the prestigious title of ‘The Best PG Christmas Movie’. It beat classics like The Nightmare Before Christmas and Home Alone – which didn’t even make the list! 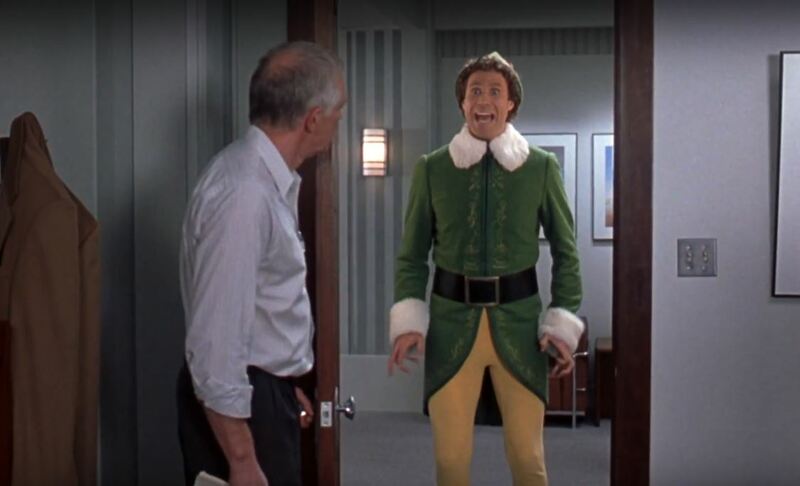 If you ask me, Elf ranks as one of Ferrell’s worst films, I love the guy but sometimes you have to call it like it is. Surprisingly, the film also stars a who’s-who of Hollywood A-listers including the legendary James Cann (The Godfather) and everyone’s favourite quirky hipster Zooey Deschanel. Weirdly enough Elf was directed by actor Jon Favreau, who was responsible for the first two Iron Man films – basically, without him, we wouldn’t have the current incarnation of the Marvel Cinematic Universe, so I guess I’ll give him a pass for directing Elf. If we’re talking the best ever Christmas films for kids though; the aforementioned The Nightmare Before Christmas and Jingle All The Way with Arnold Schwarzenegger should be high on that list. I can only assume your taste is a bit more mature, so if you’re after a more r-rated Christmas flick, I’d say you can’t go wrong with Bad Santa, A Very Harold & Kumar 3D Christmas or Scrooged, starring the legend, Bill Murray. Fun fact: according to IMDb when Ferrell was filming Elf in New York, he was inadvertently responsible for ‘several minor traffic accidents’ as he walked through the Lincoln Tunnel. I guess it was a such a shock to see Ferrell waltz down one of the busiest tunnels in NYC you had to slam the breaks to do a double-take to make sure it was really him? There was an Elf 2 in the works but I guess Ferrell decided his integrity was much more important and turned down $29 million (£21.9 million). Probably for the best really!